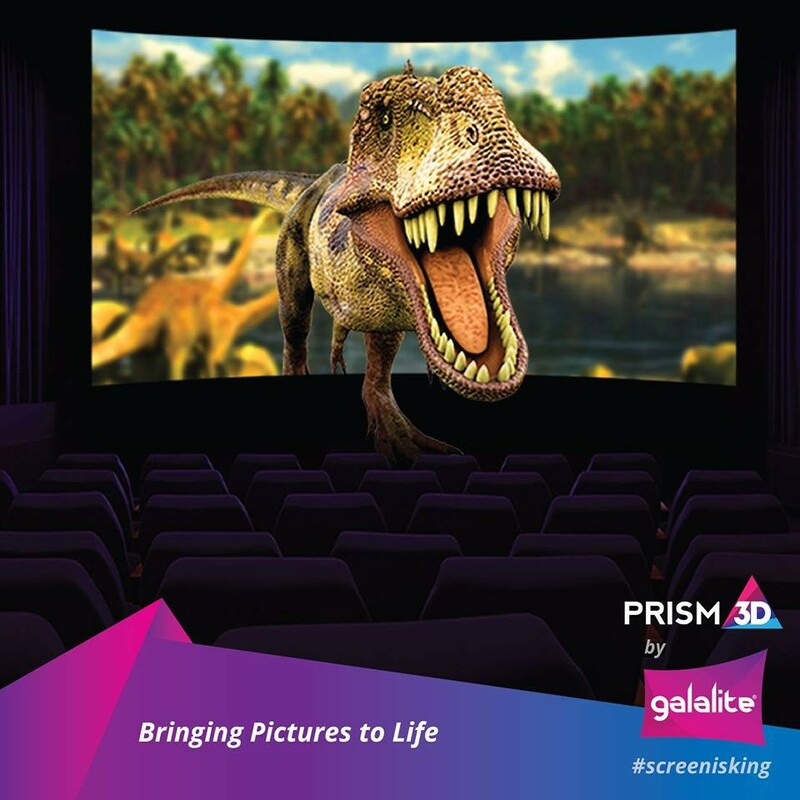 Prism 3D™, Galalite’s cutting-edge ultra-high brightness silver screen optimized for Digital 3D Cinemas, enhances the movie viewing experience and brings imagination to life. Manufactured with silver aluminum flake based coating, Prism 3D™ uses a special formulation that eliminates hot spotting even in 2D projection conditions. With a protective layer that improves life of the screen and keeps light levels higher for longer, the screens enable superb 3D effect with absolutely no ghosting effect.